Women who opt not to be mothers are frequently warned that they will regret their decision later in life, yet we rarely talk about the possibility that the opposite might also be true - that women who have children might regret it. 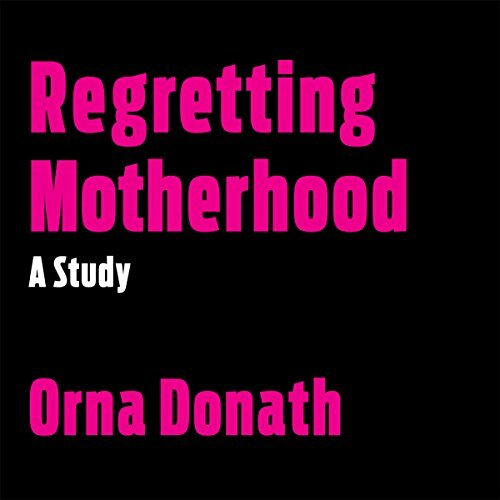 Drawing on years of research interviewing women from a variety of socioeconomic, educational, and professional backgrounds, sociologist Orna Donath treats regret as a feminist issue: as regret marks the road not taken, we need to consider whether alternative paths for women currently are blocked off. She asks that we pay attention to what is forbidden by rules governing motherhood, time, and emotion, including the cultural assumption that motherhood is a "natural" role for women - for the sake of all women, not just those who regret becoming mothers. If we are disturbed by the idea that a woman might regret becoming a mother, Donath says, our response should not be to silence and shame these women; rather, we need to ask honest and difficult questions about how society pushes women into motherhood and why those who reconsider it are still seen as a danger to the status quo. Groundbreaking, thoughtful, and provocative, this is an especially needed book in our current political climate, as women's reproductive rights continue to be at the forefront of national debates. I hope this study becomes more and more available to young people so that they can make a more informed decision about becoming parents.